Very early in the game Yono, the elephant, meets two young kids, and the three of them remain friends for the rest of the journey. 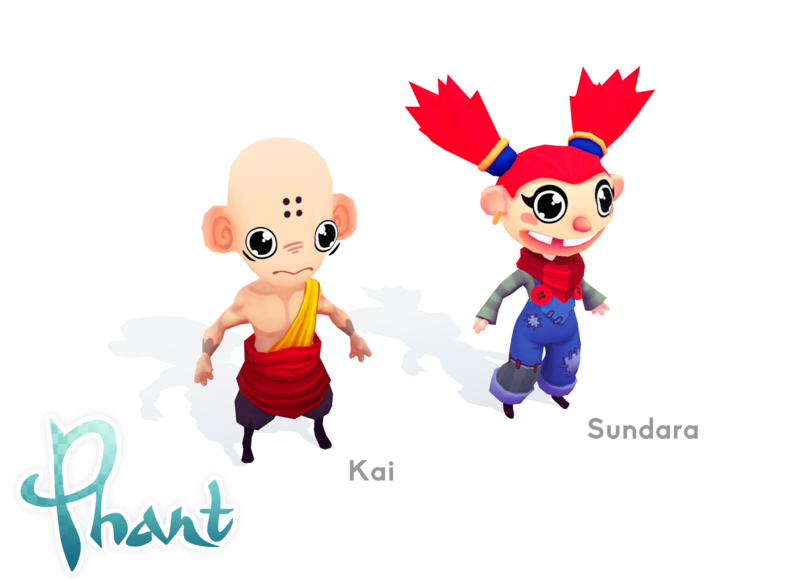 Most NPCs will stand around in their specific place and never move much, but these two, Kai and Sundara, will actually move along with you for the whole game, and you’ll meet them now and again, in cities and forests, check in with them and talk about where to go next. My plan is actually to have these two character age over the course of the game, so that the final time you meet them, just before the end credits, they have both grown up and accepted the responsibilities of their adult lives.